This stunning original 1958 Gottlieb Roto Pool pinball machine is available to hire for TV/Photographic shoots or as a general prop. 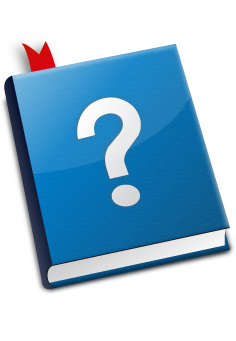 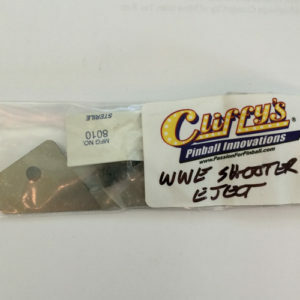 With no music or licensed theme it can be used easily as a backdrop for many projects. 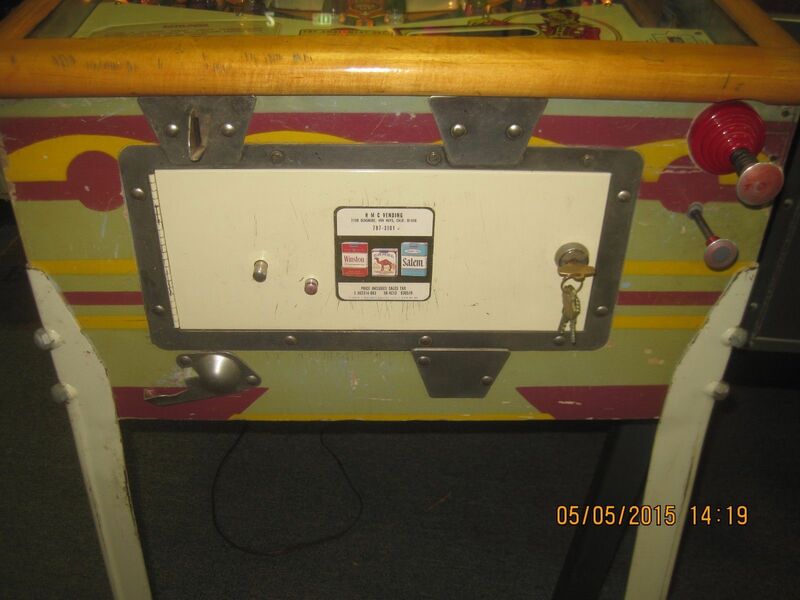 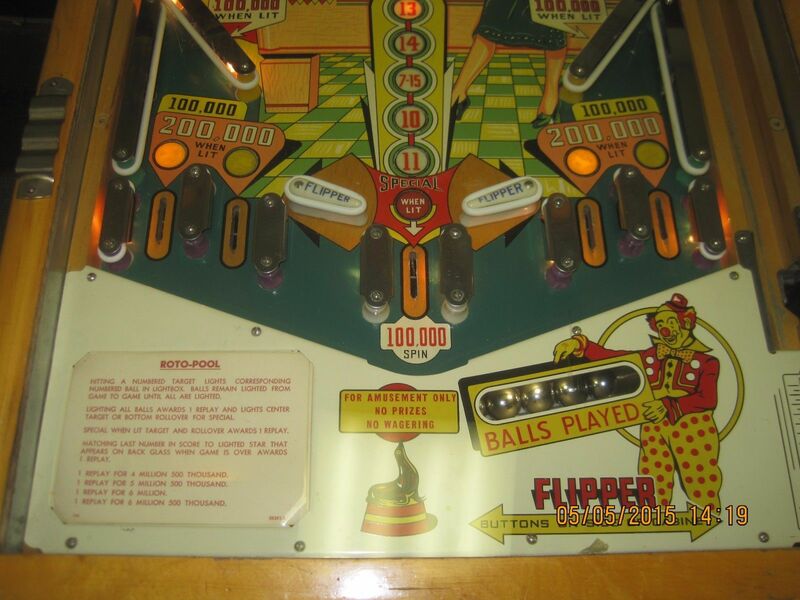 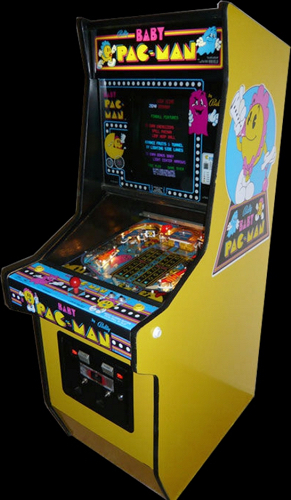 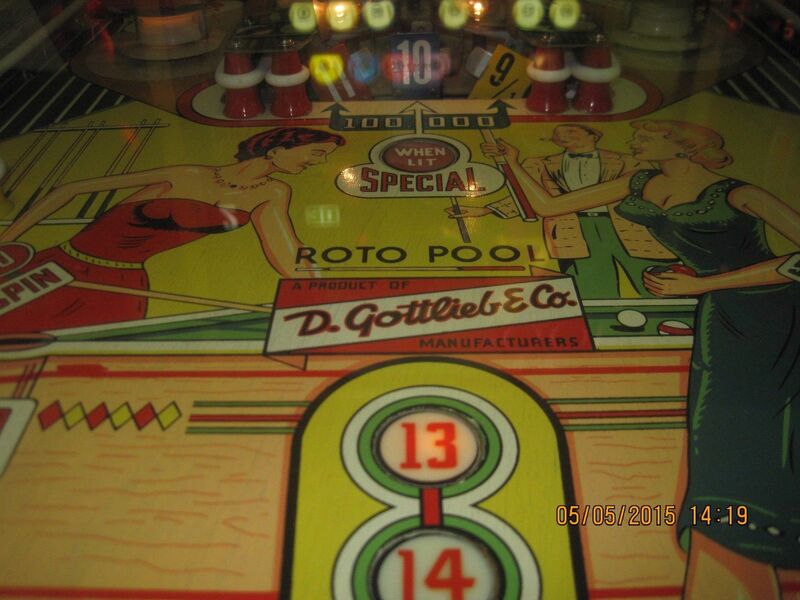 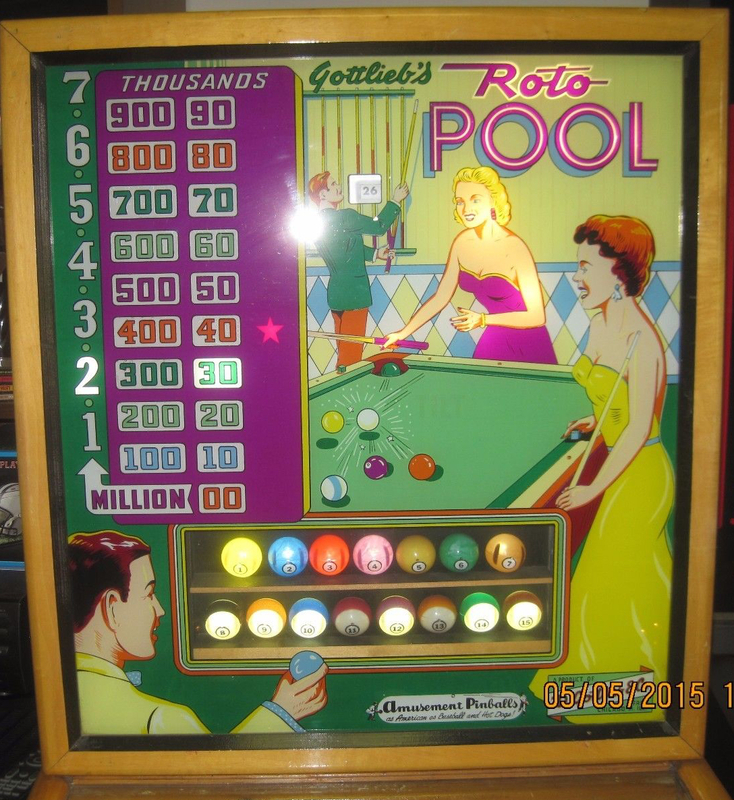 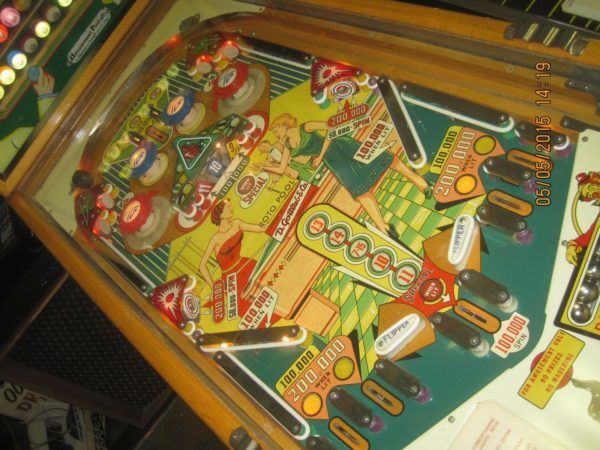 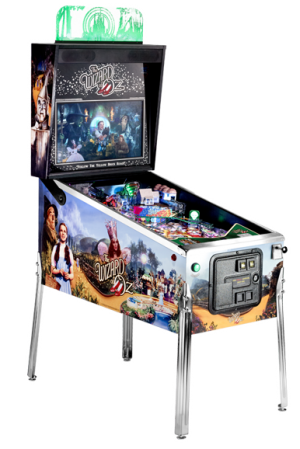 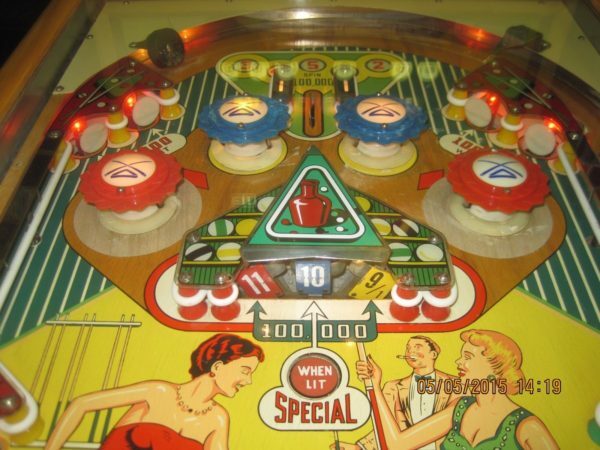 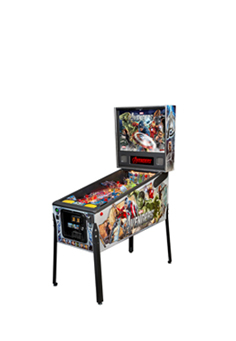 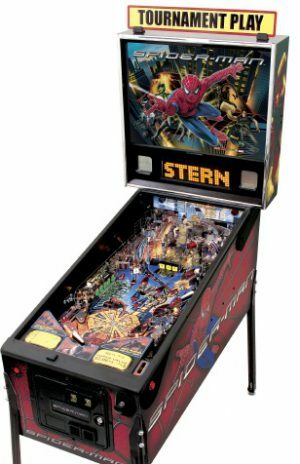 Born in 1958 this Roto Pool is widely accepted as the most beautiful pinball machine of the 1950’s with 4 “pop” bumpers, 2 kickers, 2 flippers and a spinning “roto” target with illuminated pool balls in the backglass and all wooden trim with original 50’s cigarette rests on the side of the machine – its an undeniable bit of history and its available to hire Delivery/installation charges apply in addition to daily hire rate – please get in touch to discuss your requirements.